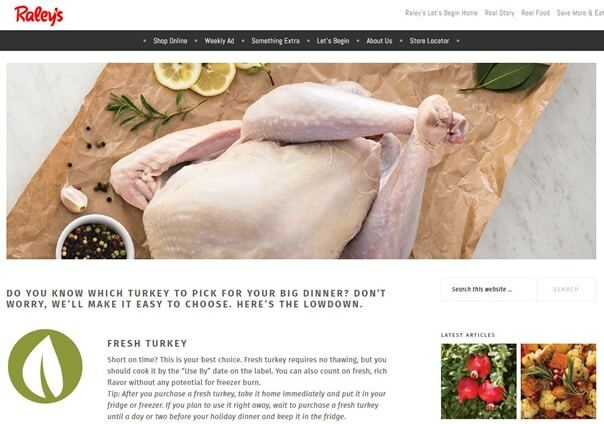 For 18 months I was a contract copywriter for Raley’s, a Northern California regional grocery chain. I worked on their glossy magazine Something Extra, websites, ads, signage, videos, and more. This video was presented at the Western Association of Food Chains 2016 Conference. I wrote the script and Sacramento radio personality Kat Maudru did the voiceover. I ghostwrote an article for Raley’s that appeared in the Fall 2016 issue of Ardent For Life magazine, an upscale Elk Grove glossy magazine. 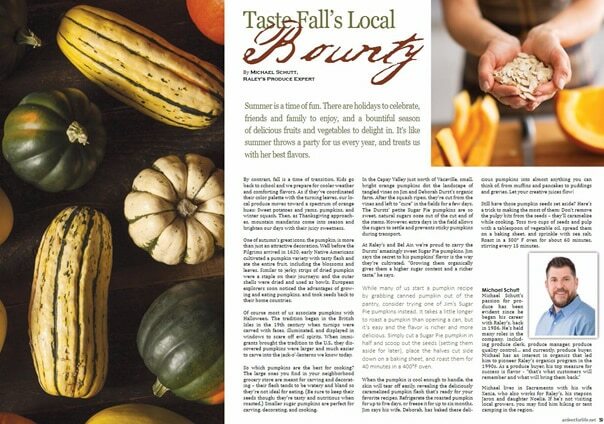 The article is about Northern California’s local fall bounty of fruits and vegetables with an emphasis on sugar pumpkins. It’s a beautiful publication and I’m thrilled to have contributed to it! 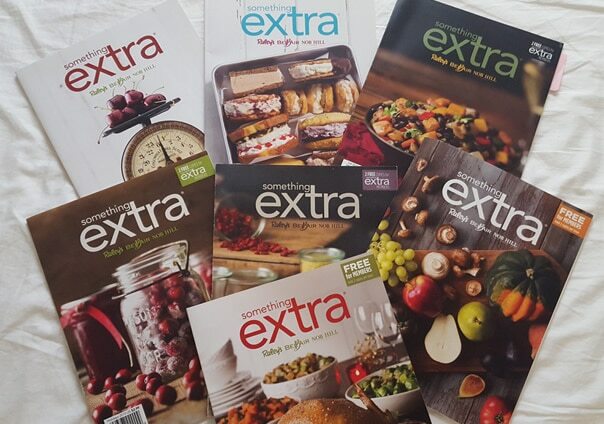 In summer 2016 Raley’s launched a new initiative called “Let’s Begin,” which encourages its customers to learn more about where their food comes from, how it’s processed, and how to cook more food at home. I wrote several things for the Let’s Begin website, including farmer profiles, cooking tutorials, nutrition articles, and video scripts. I also proofread everything on the website during the time I worked for them.